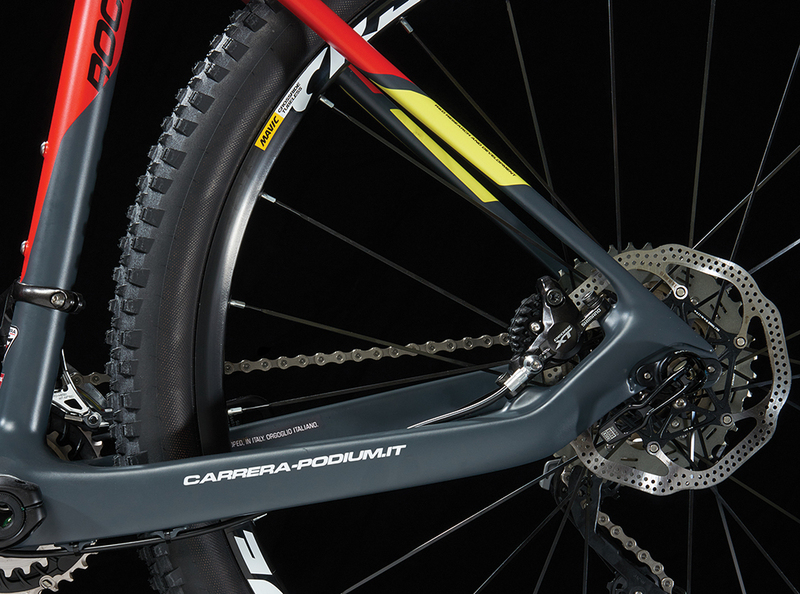 The ROCK 27.5 represents Carrera-PODIUM’s interpretation on the ‘New Standard’ within the MTB wheel size categories. 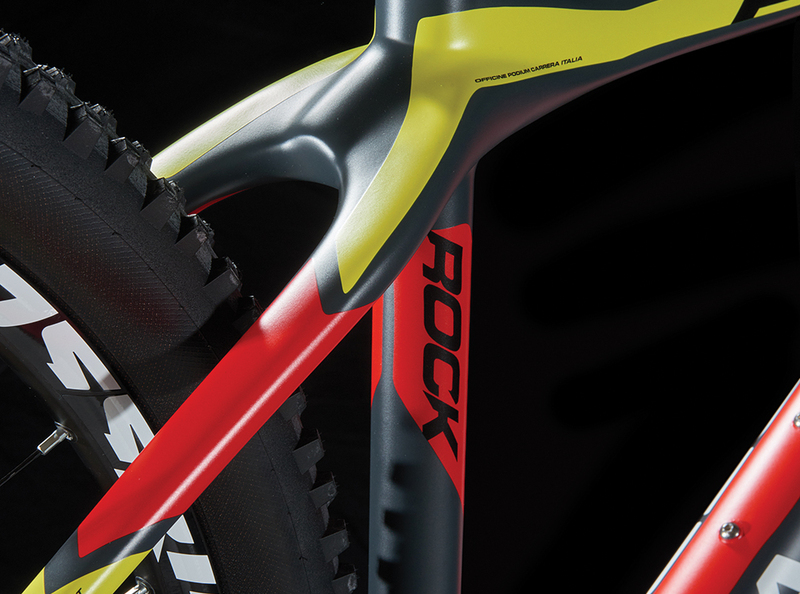 The ROCK 27.5 monocoque frame is manufactured using ’Solid Carbon’ technology which delivers a lightweight, responsive, and compliant frame. These design elements transform this structurally rigid, balanced-to-perform monocoque XC hardtail frame that is: fast, lightweight, responsive, and poised for rigors of XC competition. The frame is fabricated using three different types of carbon: Pre-PregT-700SC, SHM40, HR40 - for an overall weight slightly exceeding 1000 grams for the medium size. 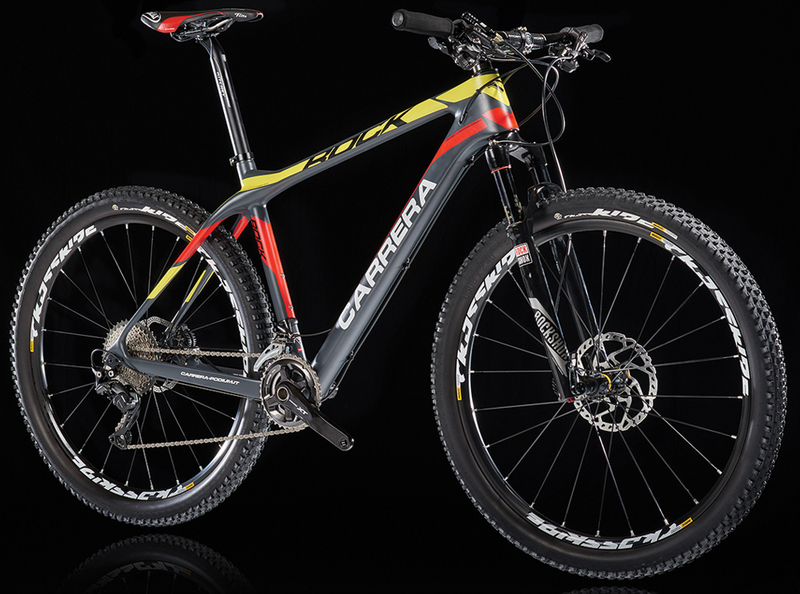 Carrera’s ROCK 27.5 is a race ready frame, exhibiting praiseworthy performance characteristics and remarkable ride quality attributes.